Emily Boesmiller-Hoch and four of her friends were on a road trip in April. While traveling on Interstate 15 near State Route 76, their car was hit by a private airplane. Their friend, Toni Isbel, was killed. The pilot’s plane was not registered with the Federal Aviation Administration (FAA) and the pilot did not have insurance. Three of the surviving victims told NBC 7 Investigates they were drowning under mounting medical bills and were unable to hold the pilot financially accountable. Although drivers are required to obtain car insurance, NBC 7 Investigates learned the federal government and the state of California do not require private pilots to have insurance. Insurance could compensate victims and their families; a lack of insurance often leaves victims feeling they have nowhere to turn. Although the chances are slim, accidents like this occur in San Diego County and throughout the country. According to the National Transportation Safety Board (NTSB), there are about 1,400 private airplane crashes every year. A total of 3,441 people died in these accidents between 2010-2014. In San Diego County, there were 55 aviation accidents between 2010-2014 resulting in 17 deaths, according to the NTSB. 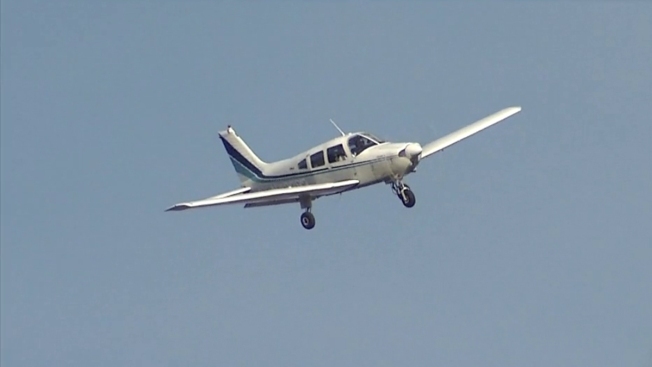 NBC 7 Investigates also learned the cost of insurance for a small private aircraft (like a Cessna or Piper) is not much more than car insurance. A call to several local aviation insurance companies estimated an annual policy costs between $1,000-$2,000. In September 2015, members of Congress asked the U.S. Government Accountability Office (GAO) to examine private plane crashes resulting in deaths and injuries. They also asked the office to recommend whether or not the federal government should force pilots to get liability insurance. GAO investigators hit a snag. “Nobody really knows how big the problem is because they’re really not collecting that kind of information in a systemic way,” said Gerald Dillingham, the director of civil aviation issues with the GAO. No data meant these federal investigators could not make a recommendation to lawmakers. Something they did find: there is a cost to taxpayers. When victims are left without help, they often turn to Medicare or Medicaid. Both are services paid for by the public. “The majority of pilots out there do carry insurance,” said aviation attorney Kurt Knepper, a member of the Southern California Pilots Association. NBC 7 Investigates inquired for months and found there is no data to confirm or dispute Knepper’s statement. GAO investigators came to the same conclusion. Knepper said much of the private aviation community self-polices. Investigators found the aviation community is concerned about insurance costs and, if forced to pay for it, they fear there would be fewer pilots. At the same time, victims say they’re forced to suffer twice as a result of this lack of insurance. GAO investigators say, to their knowledge, nothing is being done to collect data on uninsured pilots and the issue remains at a standstill.